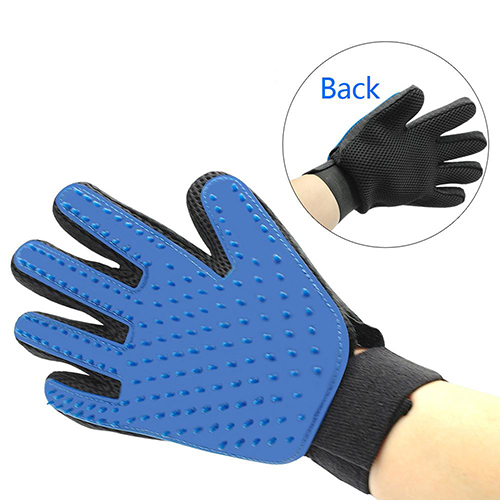 The five fingers cleaning and grooming glove will fit perfectly on your hand can be used for Bathing Brush, Hair Remover, Deshedding Tool,this glove brush not only assistant to bath, help to clean your pets thoroughly during the bath, get each hair moisture and well cleaned,works well with bath liquid and more,but also can help you avoid making a mess in your rooms as the shedding hair from your pets easily stick to this grooming glove during the massage, you can then clean it easily. 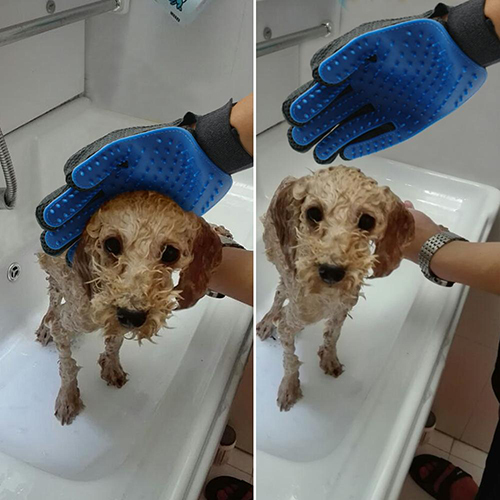 It can also help to promote skin blood circulation, make your pets more healthy during the message. 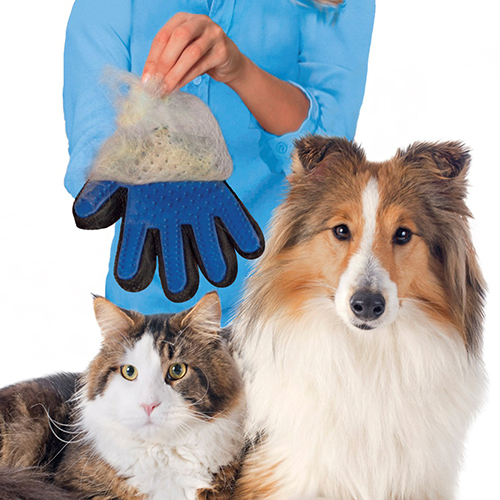 Suitable for pets of all size and breed, works well on no matter long haired or short and curly haired dogs and cats. If you go out with your pet,you can put this grooming brush in your bag,it's very light and useful.